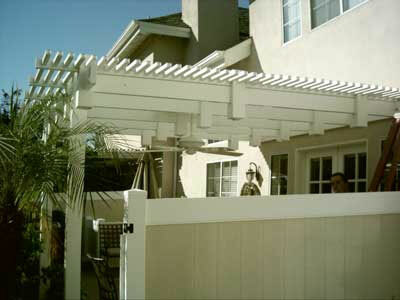 Country Estate Fence installed this 50/50 patio cover in Tustin, CA. This patio cover installation features a freestanding vinyl patio cover built over a sitting area in the client's backyard. This 50/50 vinyl patio cover was installed in Brea, CA. 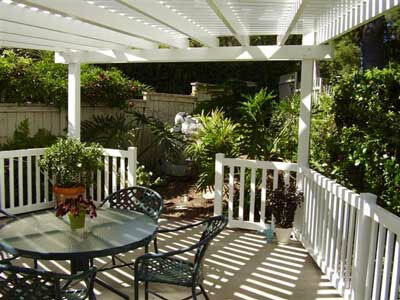 This client wanted a patio cover to add shade to their backyard for days when they have family over. Country Estate Fence installed this vinyl patio cover in Brea, CA. 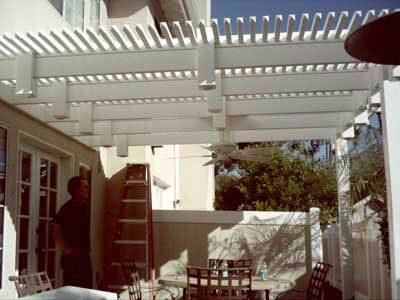 The 50/50 style patio cover will give the client's backyard a partially shaded area. We installed this 50/50 vinyl patio cover in Santa Ana, CA. Our client chose a free standing patio cover because they wanted an outdoor area to be with family during nice summer afternoons. 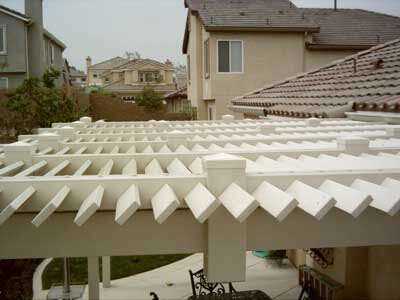 This louvered vinyl patio cover was installed in Eastvale, CA. Country Estate Fence also added lights during this patio cover installation. The client wanted to be able to light their outdoor area up during the night. 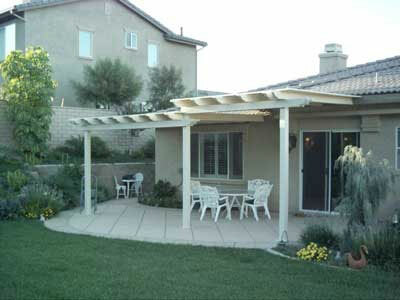 This louvered vinyl patio cover in Yorba Linda, CA was installed by Country Estate Fence. This client chose a louvered style so that the light would be deflected during the sunniest parts of the day. 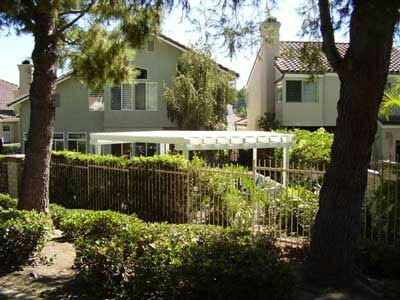 Country Estate Fence completed a patio cover installation in Corona, CA. This vinyl 50/50 patio cover lets some light in while maintaining a cool, shaded area. 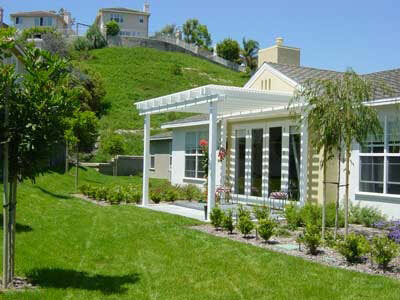 Country Estate Fence installed this vinyl patio cover in Dana Point, CA. 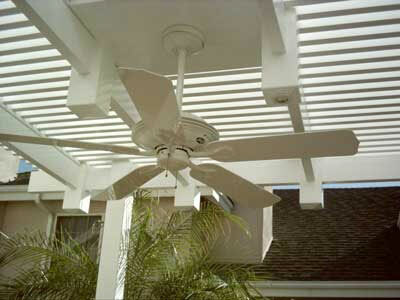 This client chose to have a fan installed with their 50/50 patio cover. The fan provides a cool breeze on hot days when they still want to be outdoors. 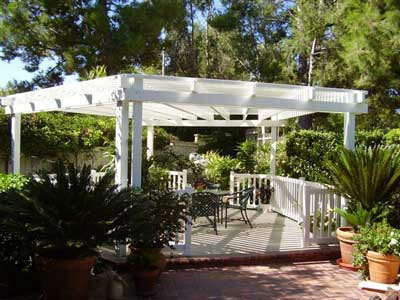 Country Estate Fence installed this vinyl patio cover in Laguna Hills, CA. 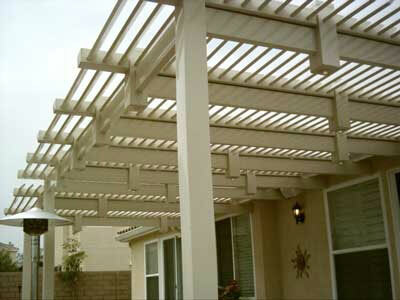 This client wanted a simple patio cover to divert harsh sunlight from coming into their house. 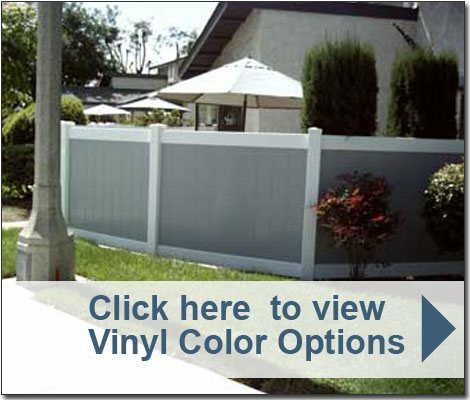 We installed a vinyl patio cover in Fullerton, CA. This solid patio cover features two different heights. 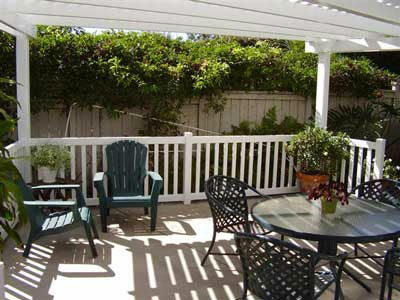 This patio cover installation in Fullerton, CA features a solid vinyl patio cover. This client wanted a patio cover with two different heights. A slightly higher cover was installed over their door than the patio cover installed next to their window. 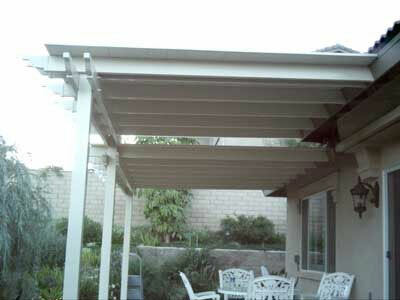 We completed a patio cover installation in Rancho Cucamonga, CA. This vinyl 50/50 patio cover features lights so the client could use their backyard space at night. This home's backyard needed just the right amount of shade and space to be illuminated by the patio cover lights.